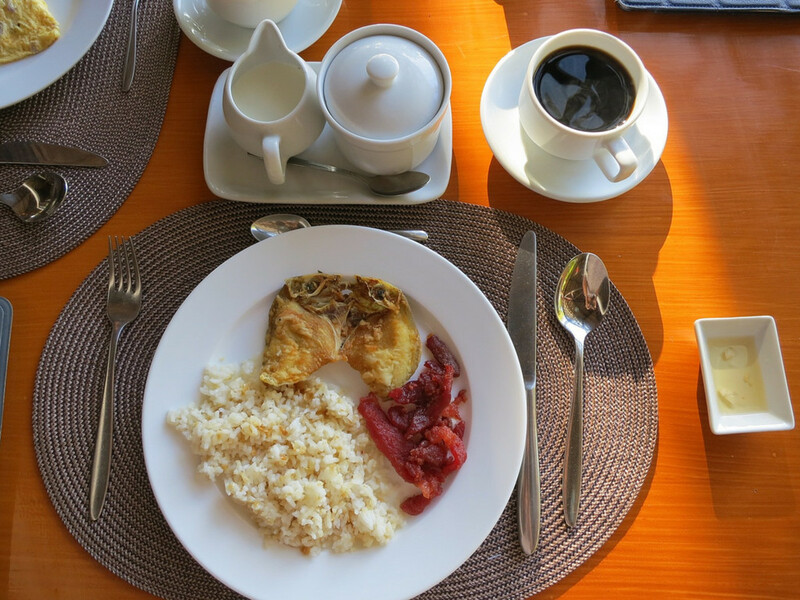 Breakfast in Southeast Asia: What Does It Look Like? Whenever she visits Southeast Asian countries for work or conferences, Lovelli always samples the local breakfast meals. 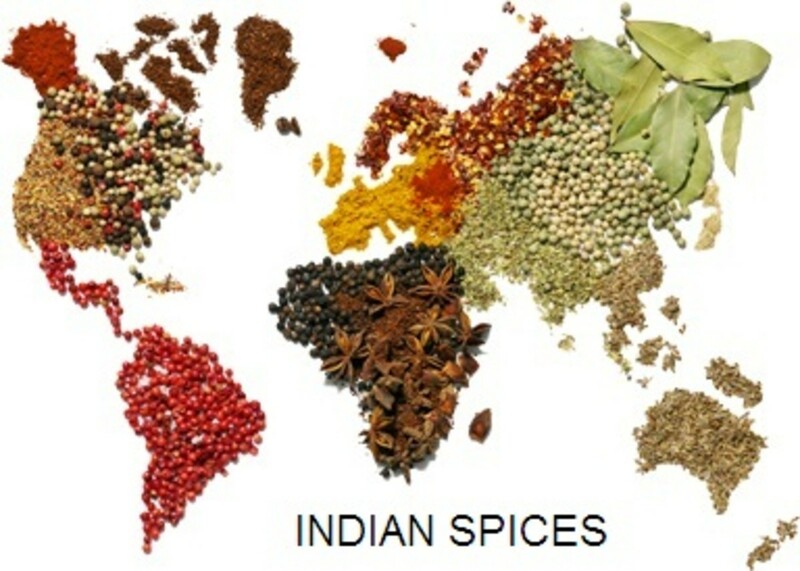 I'm not a foodie, but I enjoy learning about other cultures through their foods. Whenever I visit Southeast Asian countries for work and conferences, I always sample the local breakfast meals. Luckily, it's not so difficult to find affordable restaurants in these countries. In Indonesia, for example, people can easily order a typical breakfast from a Malaysian restaurant, stop at a Singaporean kaya toast stall on the way to the mall, or dine in at a Thai or Vietnamese restaurant for brunch. People in Indonesia can't live without their rice. They eat rice with every meal, including during breakfast. 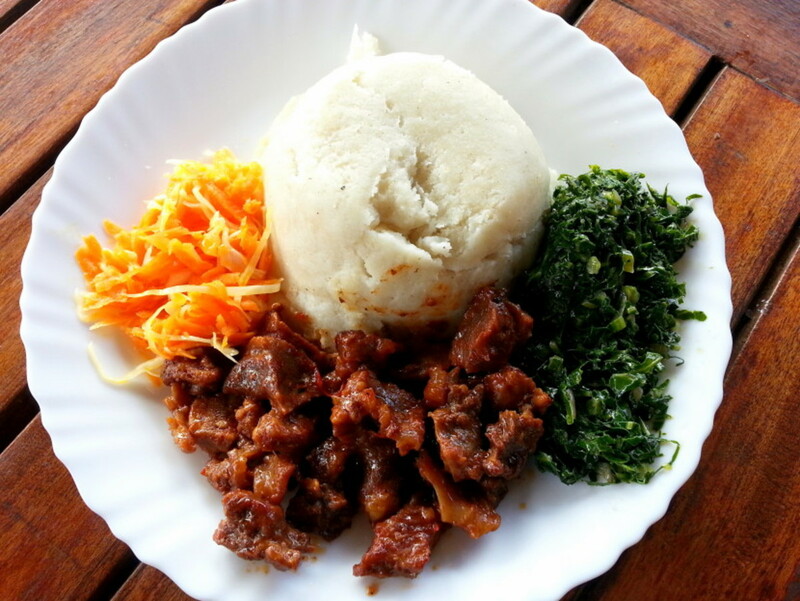 A large portion of the meal consists of rice, served with vegetables; meat proteins or the popular plant proteins tempeh and tofu; along with poultry and/or fish. Nasi goreng, or Indonesian fried rice. A wok-fried rice dish with pieces of meat and vegetables served with eggs, chilli and usually prawn crackers. The rice is fried in vegetable cooking oil with the seasoning of soy sauce, chili, onions, and sometimes shrimp paste. 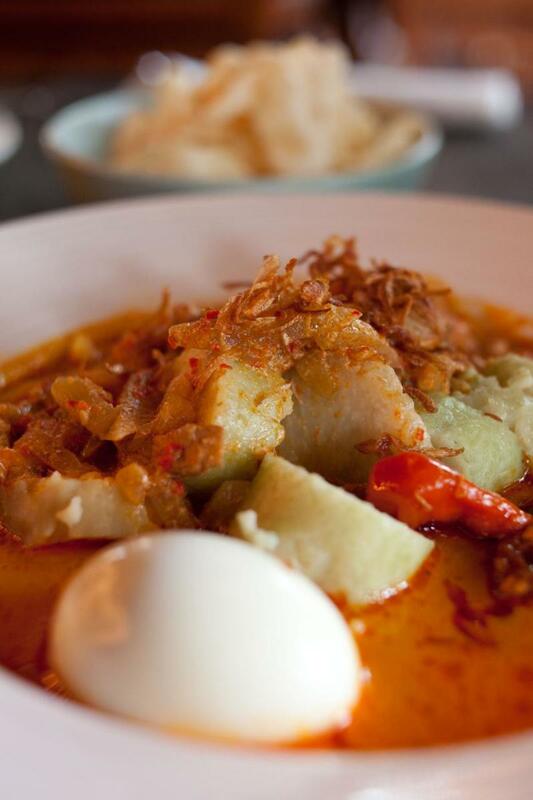 Lontong sayur, or rice cake served in light vegetable coconut curry. Rice is compressed into a solid cake and then sliced and served with the curry, along with extra meat proteins, chili, and crackers. Nasi uduk, or mixed rice is steamed rice cooked in coconut milk served with tempeh, fried anchovies, chili and extra side dish selections of meat, animal innards, and fries. 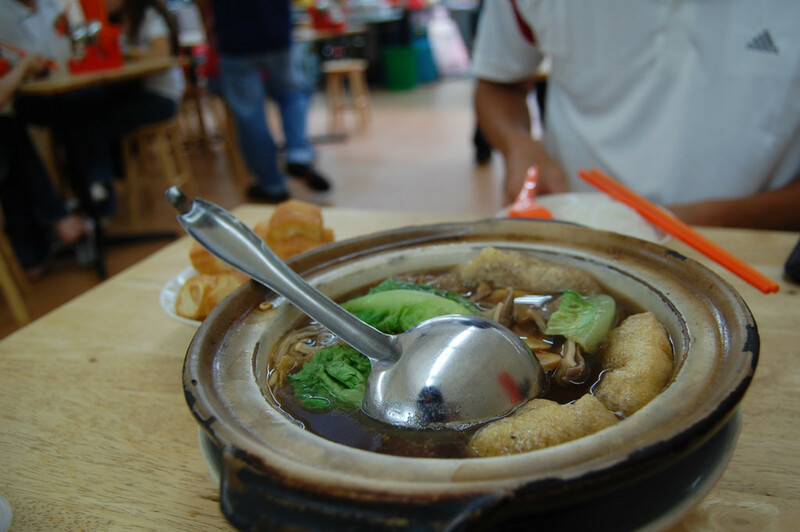 Bak kut teh, or meat bone tea is pork rib dish cooked in broth. The meaty pork ribs are simmered in a broth of herbs and rich spices for hours before serving. Despite the name, this dish contains no tea. Kaya toast is a type of popular breakfast toast served with soft-boiled eggs and iced milk tea. The jam used to make this toast is the native sweet coconut jam, served with butter on the bread. Nasi lemak is a very popular rice dish that comes with many variations. 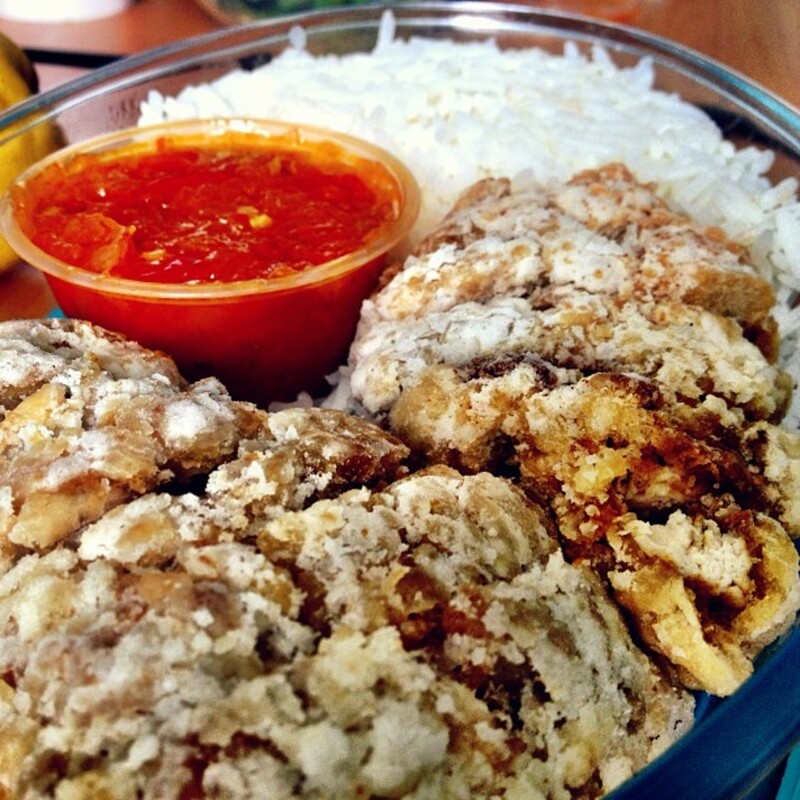 The dish consists of rice cooked in coconut milk, served with anchovies, roasted peanuts, eggs, and chili sauce. Extra side dishes include all kinds of animal proteins, seafood curry, and vegetables. Many common breakfast dishes found elsewhere in Southeast Asia: kaya toast, fried noodles, nasi lemak, and rice porridge. 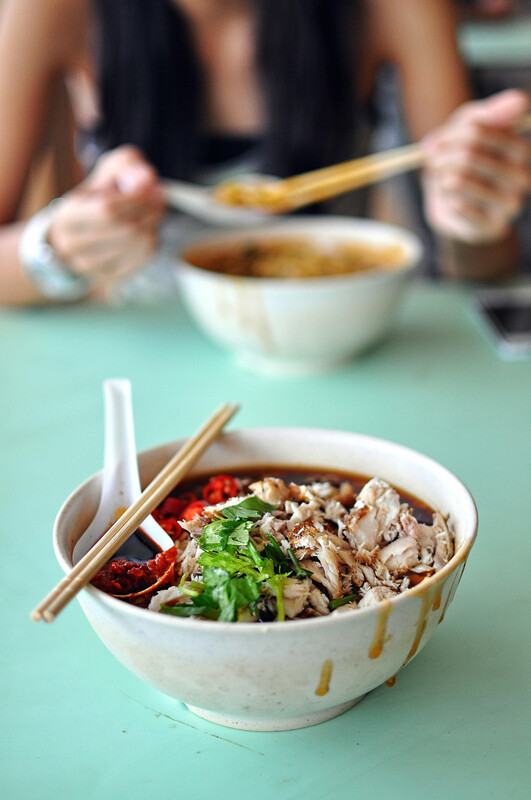 Lor mee is a noodle dish inspired by the Chinese. The noodle is a thick flat yellow noodle served in a thick gravy made of cornstarch, spices, and eggs. Chwee kueh. 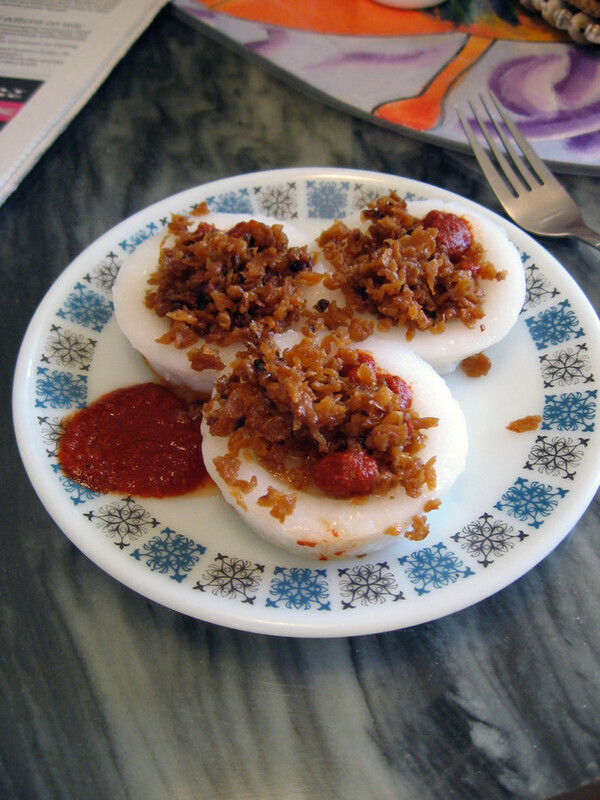 Soft steamed rice flour cakes served with salty radish pickle and spicy chili sauce. A breakfast companion to have with your morning meals. Joke, a type of thick rice congee porridge, and Patongo or the Thai donuts. The dough blobs are deep-fried (using chopsticks) into crunchy browns that are fluffy on the inside. These patongos can be dipped into a bowl of joke or enjoyed as snacks with coffee. Khao neow sang kaya. Sticky rice topped with a slice of custard and then wrapped in banana leaf. The snacks are available in white or black sticky rice, cooked in coconut cream. Khanom, or sweet snacks that can be found on the streets. They can be the simple, deep fried sweet bananas or other kinds of more complicated sweet snacks. Khao niew, or black sticky rice. 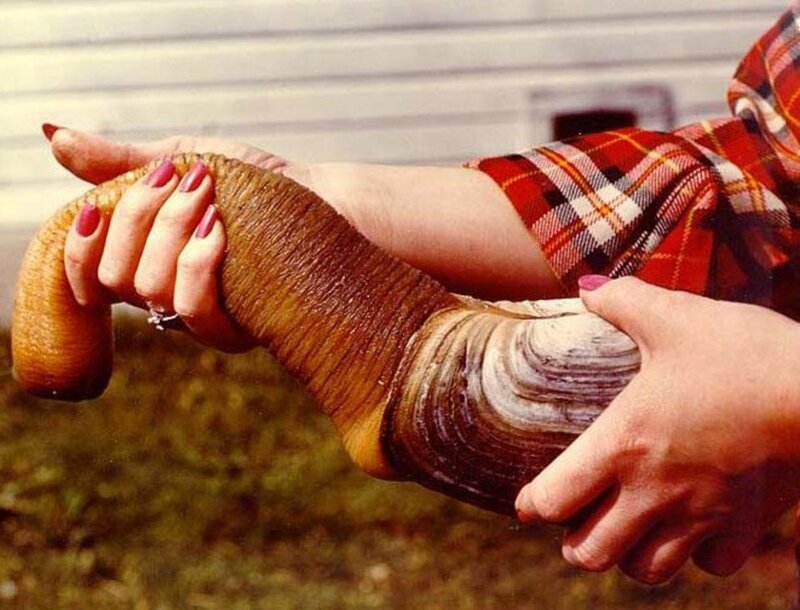 This is a Laotian staple. The sweet delicacy is a popular breakfast side dish that can also be served for lunch and dinner. Khao soy or khao soi noodle soup. A type of noodle soup made with wide-cut rice noodles. The broth is spicy, and to complete the dish, it is served with chopped porks, bean sprouts, chopped scallions, and cilantro. Khao piak sén. This is a type of chicken noodle soup that uses fresh herbs and ingredients. 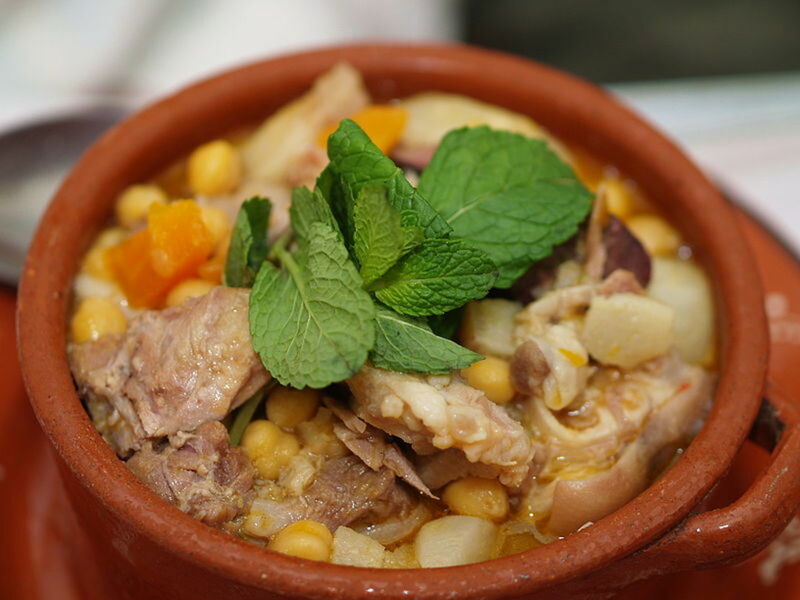 Sometimes the soup is also made using pork. Nasi katok. This is the national rice dish of Brunei. The name katok comes from the sound people make when knocking. The dish consists of a portion of rice, battered fried chicken, served with chili. It is traditionally wrapped in brown paper. Ambuyat. Sticky balls made from sago starch wrapped in bamboo sticks, and then dipped into sour fruit sauce. Kuy teav, which is a type of noodle soup made from rice noodles with pork stock. This dish can be found in street stalls, restaurants, and almost anywhere at any hour of the day. Served with aromatics, herbs, and spicy condiments. Fish amok, or fish steamed in curry is fish cooked in thick coconut milk and kroeung spices. 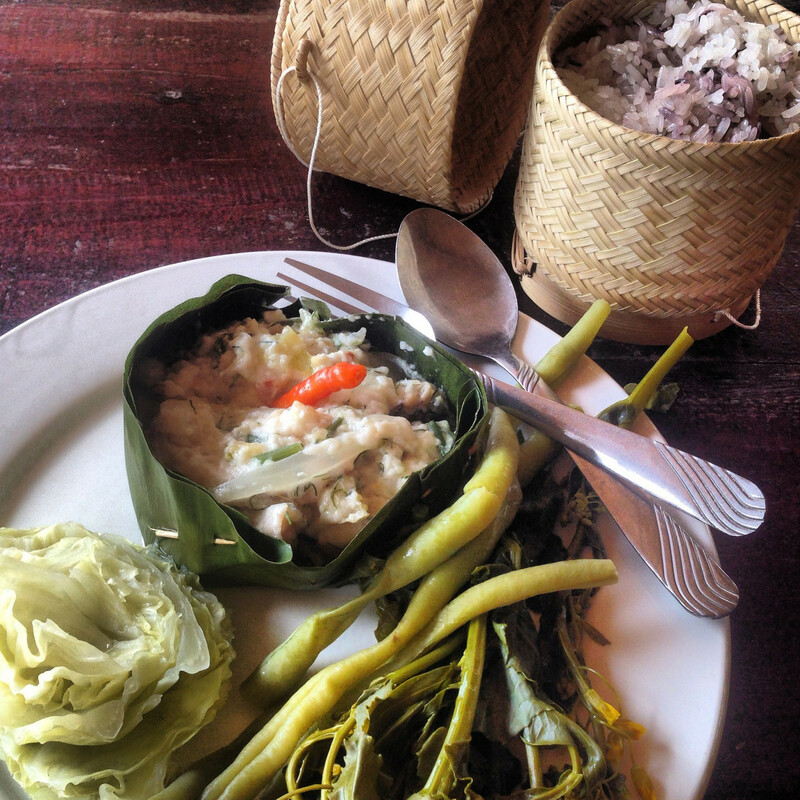 The food is steamed or baked and then served in banana leaves. Khmer noodles or num banh chock. Rice noodles are served in green curry gravy made from fish stock. The broth is flavored with lemongrass, turmeric, and kaffir lime. The garnishes include fresh mint leaves, bean sprouts, beans, banana flower, and greens. Babor, or rice porridge. Similar to bubur ayam in Indonesia and the Thai joke, this dish is derived from the Chinese congee. 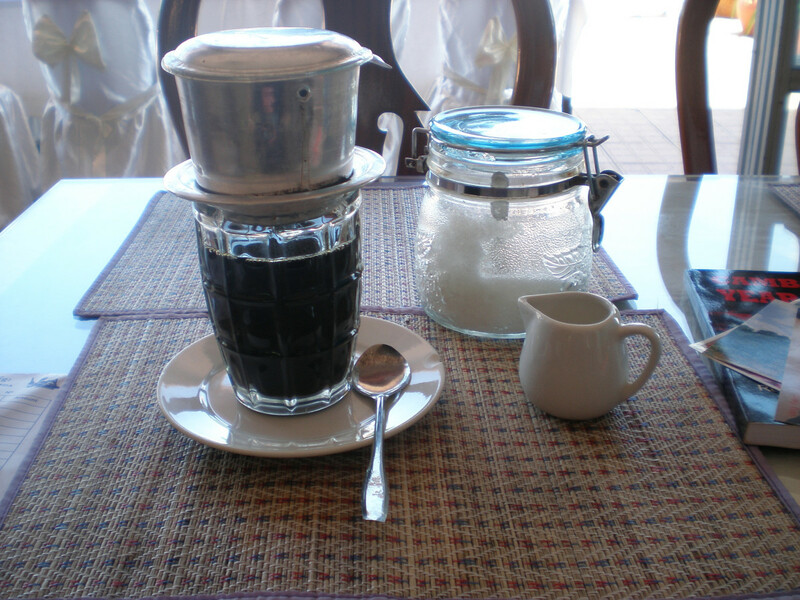 A strong cup of coffee and sweetened condensed milk is an important part of the Cambodian breakfast. Champorado or tsampurado is a chocolate rice porridge made sweet with milk, sugar, and cocoa powder. Pandesal, or small bread rolls, and kesong puti, or white Filipino cheese made with carabao's milk. 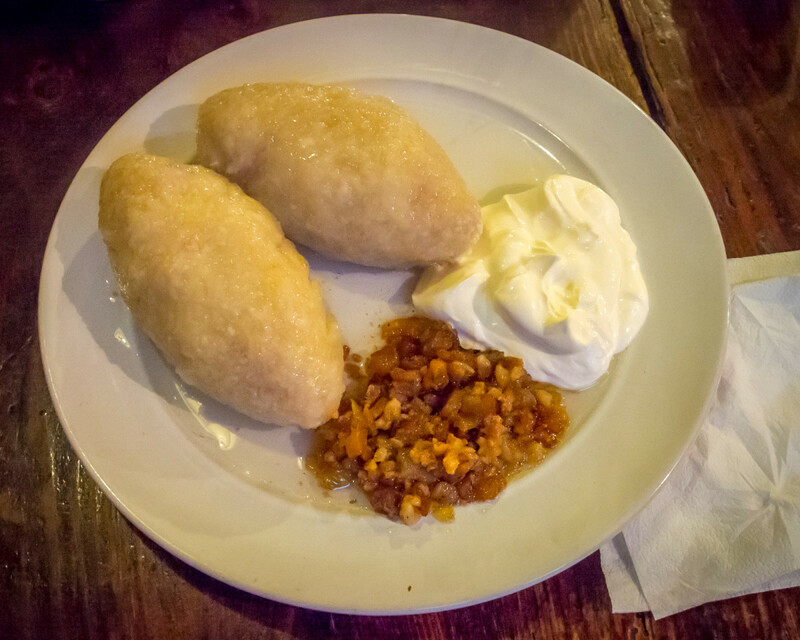 Kakanin, or sweet rice cakes made from glutinous rice and coconut cream. This dish is also served for dessert. Sinangag, or garlic fried rice. The dish is often served with the various Filipino meat, such as tapa (cured meat), longganisa (spicy pork sausage), tocino (pork belly bacon), and karne norte (corned beef). 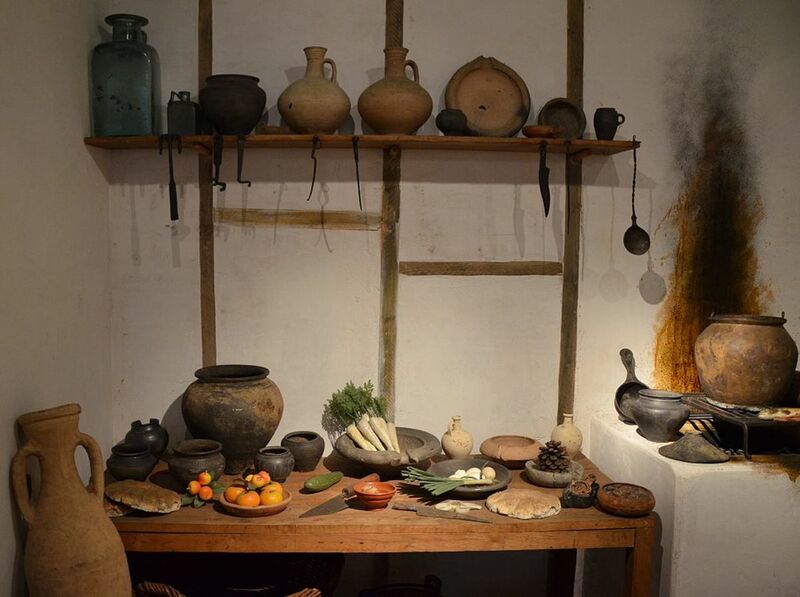 Vietnamese cuisine's distinctive flavor comes from the common ingredients used. They are fish sauce, soy sauce, fresh herbs, shrimp paste, and common spices of ginger, lemongrass, bird's eye chili, coriander, mint, lime, and basil leaves. Raw vegetables are a mandatory part of most dishes. Pho. Rice noodle soup of clear broth made from meat and spices. Pho is served with onions, beef, vegetables, and herbs. The pho variations are chicken, beef, and pork. Xôi is a breakfast meal made with glutinous rice and a topping selection of fried onions, mung beans, quail eggs, and sliced sausage. Bun, or rice vermicelli noodle soup that has a sour taste and is made with tomato, garcinia cowa, and lemon lime. 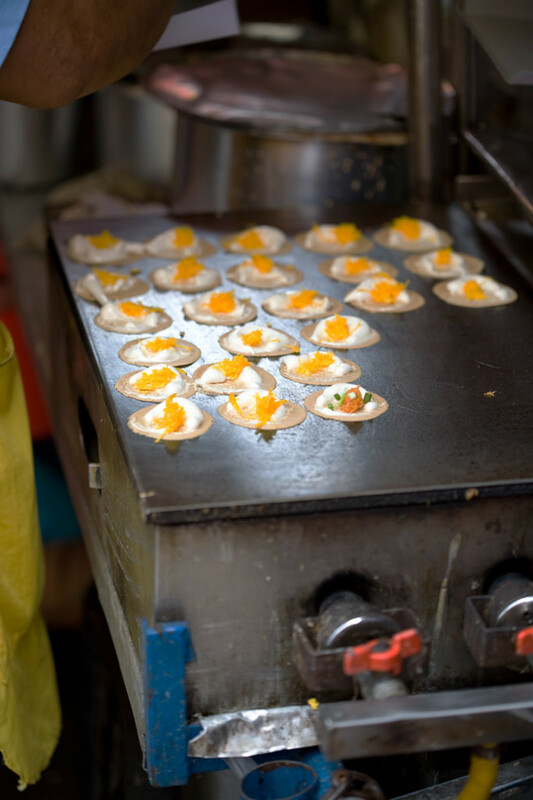 Bánh cuốn, or a steamed Vietnamese pancake made using fermented rice batter on thin rice sheets. The filling is made of ground pork, shallots, mushrooms and some fish sauce. 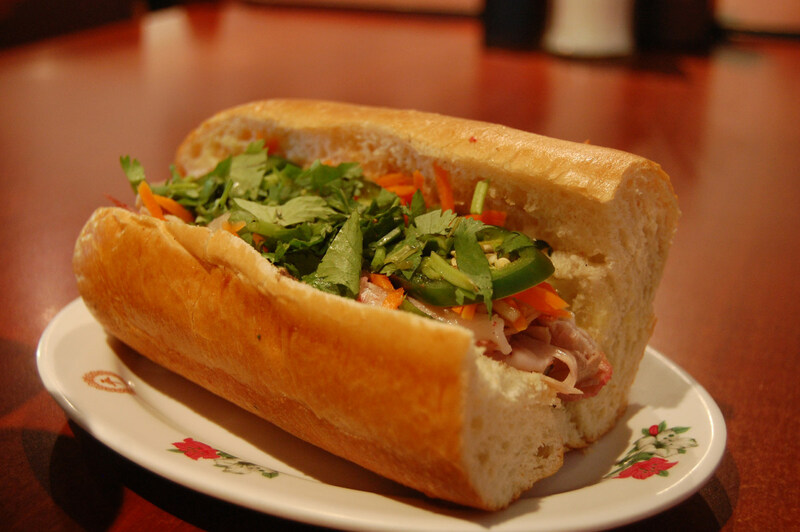 Banh mi is the French-inspired Vietnamese baguette traditionally filled with pate, mayo, cold cuts, pickled veggies, and various stuffings, such as eggs, pork, tofu, meat, and sardines. Mark Wiens. (2018) Thai Breakfast: 19 of the Most Popular Dishes. Eating Thai Food. Jasmine P. Ting. (2018) Everything You Need to Know About Filipino Breakfast. Saveur. Lina Goldberg. 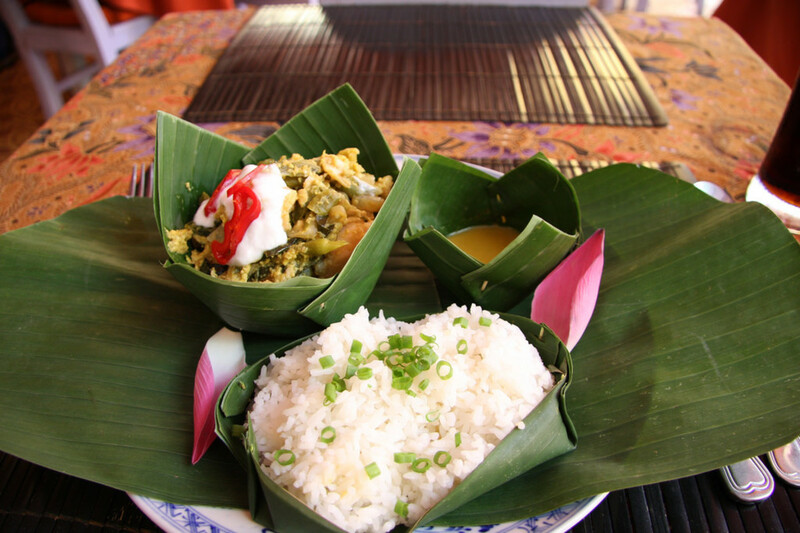 (2013) 10 meals every visitor to Cambodia should try. CNN Travel. Matthew Pike. (2018) The Top 10 Vietnamese Breakfast Meals. The Culture Trip. Do you drink milk for breakfast in Southeast Asia? If not, what drinks do people have early in the morning? 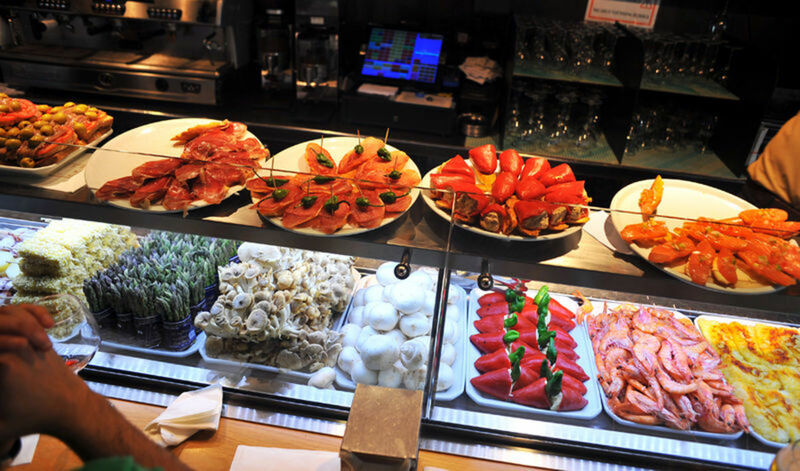 15 Popular Spanish Tapas Dishes You Need to Try! Your welcome. I'm glad you enjoyed it, Robert. These are just some typical ones that people have for breakfast. Other than rice cooked in coconut milk, another special breakfast item is the sticky rice. It can go well with or without coconut milk. It's easy to make and is a nice option for desserts too. I could definitely eat a Bahn Mi for breakfast and often opt to not have breakfast at home knowing I can get one at the city when I do my shopping. very interesting article to read. I liked Indonesian food. Thanks for sharing. So enjoyed this post on Asian breakfast foods. The dishes sound as amazing as the photos are beautiful. 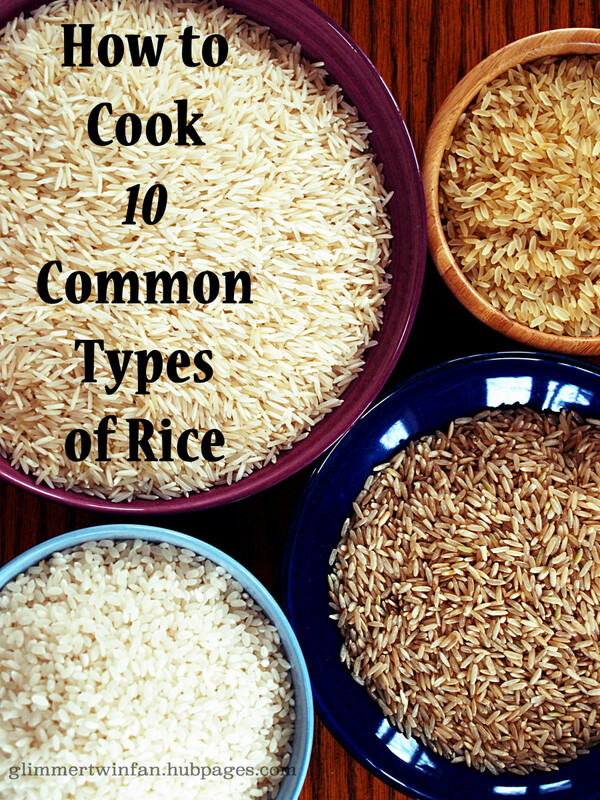 I may never get to eat these specific foods but I am going to try to look at recipes for cooking rice in coconut milk. Thanks!